We are proud to be a Redken Salon! 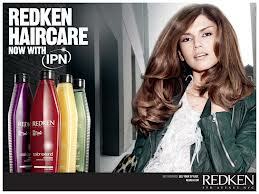 We use all Redken Haircolor and support the color line with all Redken retail products. REDKEN’S commitment to formulate scientifically superior products for the global salon community continues, and as they forge ahead in the millennium, their awareness of fashion, street trends and modern hair needs will only enhance their scientific strength.